[By Nick] I recently was invited on a tour of the Niskayuna Co-op. Of course there was no way I could say no seeing as I'd drive by it whenever I was in the area but never stopped in. 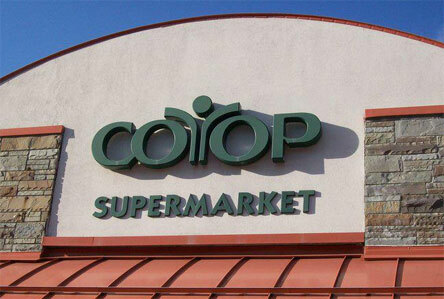 What I found was not only a knowledgeable staff but a place that didn't feel like a co-op in the traditional sense. It felt more like a neighborhood market where you could get specialty good as well as national brands like Kellogg's. While you don't have to be a member to shop there, their lifetime membership is only $5. You'd be making that back in saving on your first trip alone. Now you all know I was mainly interested in their ice cream section and man was I impressed. Sure they had the "healthy" and "all-natural" options like you expect. 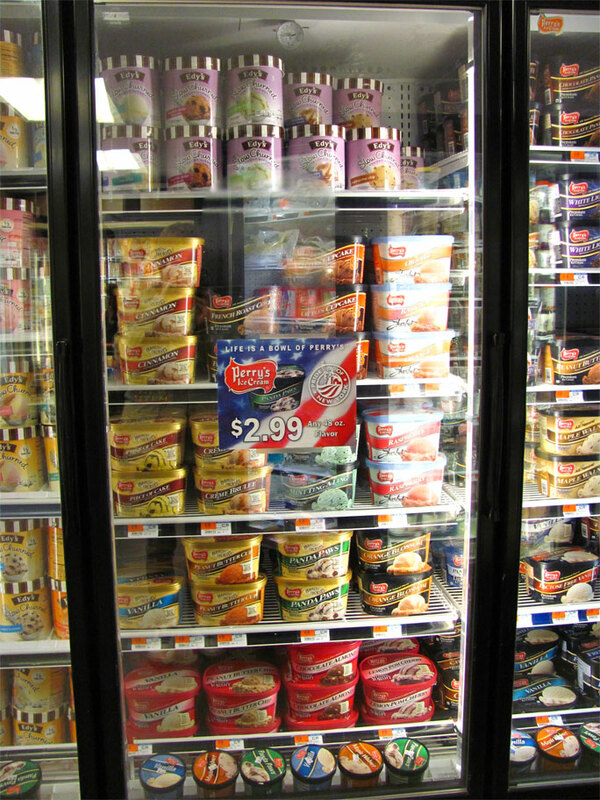 However, they easily have the largest selection of Perry's ice cream that I've ever seen and it's always $2.99 a container. They're also the first store that I've seen carry Hershey's ice cream that wasn't a gas station as well. Oh and their selection of Talenti isn't all that shabby either. I was actually able to speak with their frozen foods manager and learned a lot about the ordering and stocking process. He doesn't mess around either. If something isn't selling, that stuff is gone asap *cough* Ben & Jerry's Greek Froyo *cough*. He also refuses to carry Breyer's which was more than a delight to my ears. The Co-Op was gracious enough to send me off with a few free pints, one of those being a pint of Talenti I've had my eye out for: Coffee Chocolate Chip, Talenti Gelato flavor #7. Unscrewing the lid, there’s nothing out of the ordinary going on. While there’s not much to say about the appearance, there is a nice coffee aroma coming from this pint. 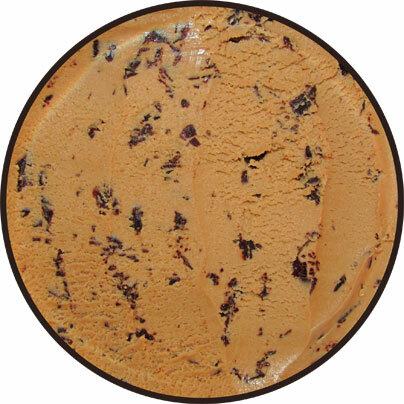 It’s been awhile since I’ve had Talenti but there’s no forgetting that velvety smooth texture. Well until you run into the copious amounts of chocolate shards mixed throughout. That’s one of the many things I love about Talenti’s chocolate chips. While not big in stature, they’re literally everywhere in the pint. Not only does this lead to a well distributed flavor profile, it gives a nice little crunch in every bite. Texture is my thing and these shards will never let me down. 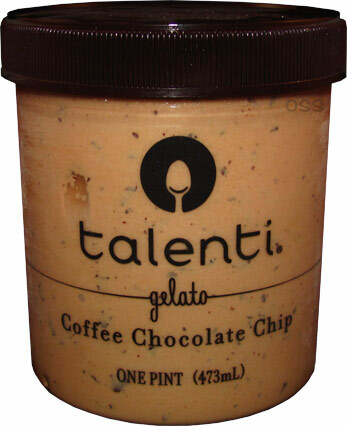 As for taste, I really have to give it to Talenti. This is one of the bolder coffee flavors I’ve tried. While it’s no black coffee, it’s lightly sweetened letting the robustness to shine through. It’s definitely up there as one of my favorite coffee bases I have tried. Like I said earlier, the chocolate chips are incorporated into every bite. The chocolate is more on the darker side but works to temper the coffee base. 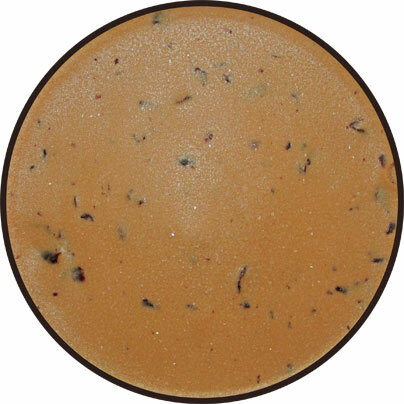 Combined, it actually reminds me of a well-executed mocha coffee. Not one component overpowers the other leading to a satisfying experience. Now this flavor won’t blow you away by any means. That said, there are those days when I just want something simple and this flavor would perfectly fit the bill. Thanks again to the folks at the Niskayuna Co-Op for the tour and the pints. I know I’ll be back to explore the freezer section some more! Is the coffee flavor more bitter/stronger than Stonyfield's Gotta Have Java? Stride, I'd say it's a little stronger but the chocolate helps to keep it in check. My wife mentioned that they carried Talenti, but we never go there so I haven't tried there to see if they have any of the new ones. Lazy. Well, OK, not just laziness, the place is often a madhouse outside and it's annoying to get through those aisles if anyone else is in there. Dana, it definitely a tight packed place. I mentioned to the frozen food manager about the new flavor and his supplier hasn't added those to the list yet but he said he was going to make an inquiry about them. If and when they do get them, I'll be sure to let you know! Just found Caramel Apple Pie at the Shop Rite across the street from the Coop. They also had Raspberries & Cream, but I wasn't interested. All flavors on sale for 2.88, so we got two of the apple pies and a black cherry that I've been wanting to try. 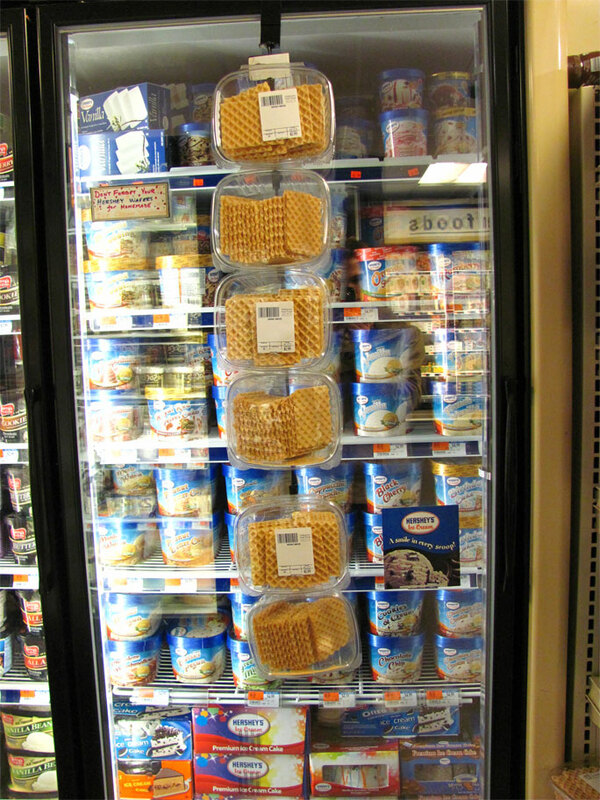 A couple of years ago the big grocery stores around my area carried one shelf of Talenti flavors. 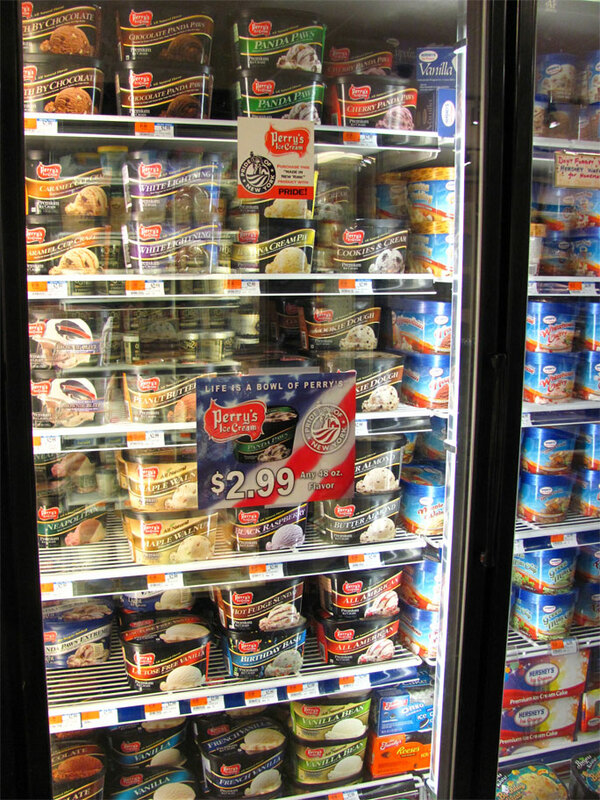 Today, these stores now carry 3 shelves of Talenti's flavors. Talk about how a company has grown in popularity! People must really like Talenti. I must be the only one who doesn't. Dana, thanks for the heads up. I won't be out that way but hopefully I can get my dad since he works out there to grab me the new flavors. Stride, they definitely have their following especially with the gelato boom that has occurred within the past few years. I didn't have the show up in my area until two years ago and stores are slowing starting to add more of their flavors to their shelves. Is there any reason why you don't like them? I'm looking forward to trying this one since I love their chocolate chip. For some reason though it's very hard to find in my area. Talenti has become very popular in my area but only takes up two shelves. Keep eating until you find a favorite! I tried the vanilla bean and it melted super quickly. The flavor was boring and the consistency was too thin for me. Stonyfield's frozen yogurt was thicker than Talenti's. Really? It's still by far my favorite vanilla flavor. I think you might have gotten a bum pint to be honest. You really can't judge a company as a whole based on one experience as well. Nick, I absolutely agree with you that I cannot fairly assess a company's entire quality from one experience but given the cost of the pint, one bad experience was enough to never buy another pint. Maybe in the future I'll try another flavor. Stride, I can see where you're coming from with the price. Always keep a look out for sales though. I've seen them for as low as $2 a pint.